The head of Vietnamese bishops has told a visiting Vatican envoy that he brings fresh hope to the communist country, which has no diplomatic ties with the Holy See. Archbishop Marek Zalewski is attending the national meeting of the Catholic Bishops' Conference of Vietnam (CBCV) from Sept. 24-28 at a pastoral center in My Tho City, southern Vietnam. Archbishop Joseph Nguyen Chi Linh, CBCV president, said that May 21, 2018, was a historic day for the local church, especially bishops, when Archbishop Zalewski was named as apostolic nuncio to Singapore and non-resident representative of the Holy See to Vietnam. "We would like to warmly congratulate and welcome you," Archbishop Linh told the visiting diplomat, who has served in Africa, Europe, Asia and the United Nations for 23 years. The archbishop of Hue said the local church expects the Polish diplomat to bring a glimmer of hope to their country, which has cut its diplomatic ties with Vatican since the country was reunified under communist rule in 1975. "We believe that what your predecessor sowed will bear fruit in your term," he told Archbishop Zalewski at the meeting. Archbishop Leopoldo Girelli, who became the Vatican's first non-resident representative to Vietnam in 2011, tried his best to raise diplomatic ties between the two sides to the higher level of resident representative status. He finished his term last November. Archbishop Linh expressed his hope that Archbishop Zalewski, who is from Poland, home to Pope St. John Paul II and previously governed by communists, "will overcome difficulties caused by the previous ideological war." He said Archbishop Zalewski's presence at a local bishops' meeting "shows a visible bond of communion between the Holy See and the church in Vietnam, and a signal of your travel with us." On Sept. 26, Archbishop Zalewski, accompanied by Cardinal Peter Nguyen Van Nhon of Hanoi and Bishop Joseph Nguyen Nang of Phat Diem, paid tribute to Vietnam's late President Tran Dai Quang at his funeral in Hanoi. Based in Singapore, Archbishop Zalewski, 55, paid his first visit to Hanoi Archdiocese on Sept. 9-15 since his appointment in May. He met government authorities and gave talks to northern bishops, priests and seminarians. 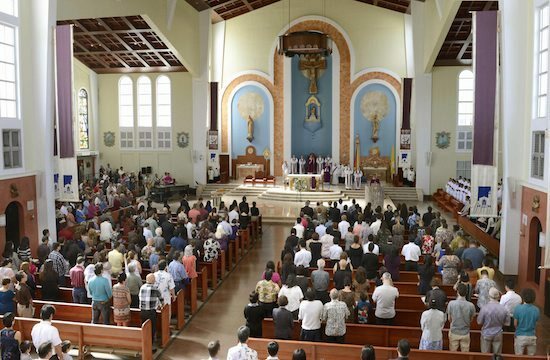 "My responsibility in Vietnam is to guarantee the bond of communion among the bishops, between bishops and priests, between bishops and the community of God, and between the Vietnamese clergy and the Holy Father," the diplomat told hundreds of Catholics who attended a special Mass welcoming him at St. Joseph Cathedral in Hanoi on Sept. 11. 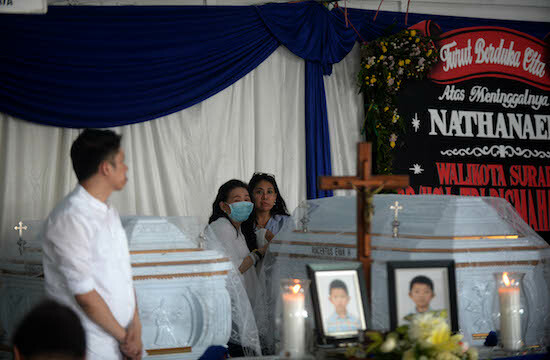 "Another mission is to ensure the unity of the local church with the Holy Father in addition to unity with the civil authorities in Singapore and Vietnam."